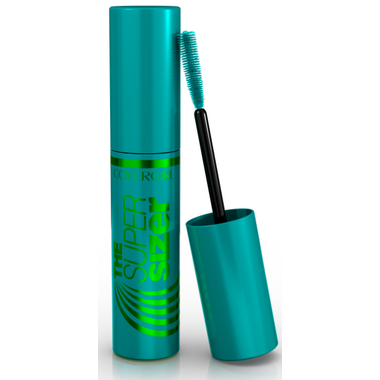 The Super Sizer by LashBlast Mascara gives you 400% more corner-to-corner volume for full, fanned out lashes. Our amazing Lash Styler transforms even small lashes— just twirl as you apply it to your lashes for an instantly Super Sized lash look. Twirl the Lash Styler as you apply mascara generously to top and bottom lashes to get Super Sized volume. Apply multiple coats for even more Super Sized volume. I just purchased this for the first time, and it's great. It's thick and lengthens lashes. I think it's good value for the money. My fave mascara. Nice and thick, dark colour, lengthens lashes well. Great value. This is one of my all time favorite mascaras. It applies beautifully, does not clump or smudge and is a rich black. I love the applicator brush on this mascara too.